Lois Schneider Realtor, the market leader in Summit, New Jersey year after year, specializes in the listing and sale of luxury homes in upscale suburban communities within an easy commuting distance to New York City. The company has been featured in Real Estate Professional magazine, RealTrends, CRB's Issues and Trends and Realtor Magazine. In 2003, Lois Schneider, the company's founder, was one of the first members of the Institute for Luxury Home Marketing and in 2008 she received a Lifetime Achievement Award from LuxuryRealEstate.com. Lois Schneider Realtor's sales associates are among the most experienced, top-producing real estate professionals in New Jersey. 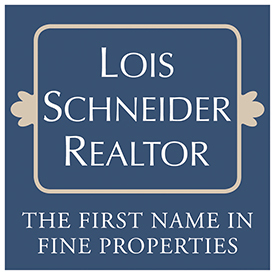 Assisted by an outstanding team of support staff, Lois Schneider Realtor's sales associates use state-of-the-art technology to enhance expert professional services for all of their clients. They are skilled in value determination, strategic pricing, contract negotiations, accessing financing options, and developing a customized marketing plan for every property. They are dedicated to working with clients throughout the entire buying or selling experience - handling every detail all the way to closing. No one knows North Central New Jersey better than their sales associates who are immersed in the life of their communities - many are third generation residents. They know the schools, neighborhoods, local businesses and services, prompting Realtor Magazine to say of the company, "This team is up on the kinds of things that people want to know...having a finger on the pulse of the community makes a difference."